QUOTE | “We’re currently still working to find a way to hand off production of episodes 3 and 4 so that the season can be completed.” - Telltale Games reassures fans that it is still trying to finish the final season of The Walking Dead. 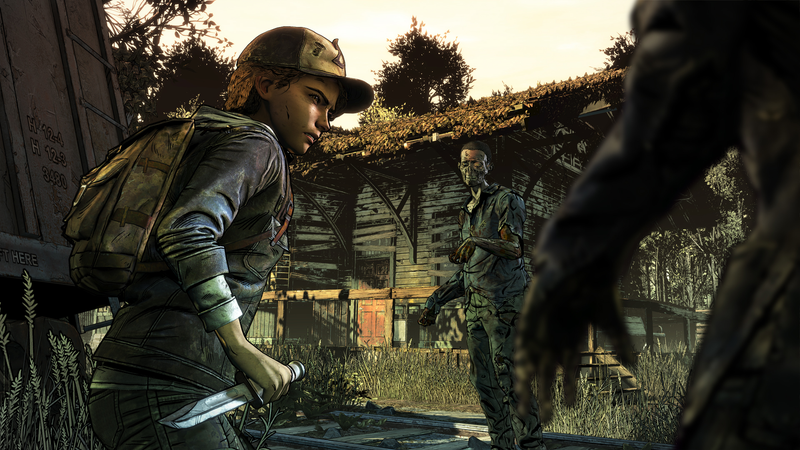 QUOTE | “By keeping the Company open in some capacity, it would appear that Telltale has foreclosed itself from using the most obvious exception to the [US and California Worker Adjustment and Retraining Notification] Acts.” - Attorney Richard Hoeg weighs in on the class-action lawsuit filed on behalf of hundreds of former employees laid off without severance or warning. QUOTE | “This problem is not isolated to only Telltale or the executives there - this is a problem that we see time and time again throughout the industry; and we will continue to see as long as management is able to take advantage of workers.” - Unionization group Game Workers Unite discusses the Telltale collapse in its own scathing statement. QUOTE | “Realistically, we’re going to end up competing with the Nintendo Switch as a device. I don’t think there’s going to be that many people who say, ‘I’m not going to buy a PS4, I’m going to buy a Quest instead.’” - Oculus VR CTO John Carmack says the $399 Oculus Quest has the power of an Xbox 360 or PS3, but the games won’t look as impressive because of the technical demands of VR. QUOTE | “There were multiple times where we had a deal moving forward with a studio, and then overnight, that studio’s entire VR department got fired because their priorities shifted” - Preston Weiler of 562 Interactive, explaining why the VR developer grew skeptical of partnering with big companies for projects. Ultimately, 562 moved into AR smart toys, with plans to make its own VR games on the side. QUOTE | “There are an awful, awful lot [of blockchain startups], and most of them are going to fail. If anyone remembers the dot-com boom and bust, this will be very, very similar.” - Even though blockchain’s bubble will burst, Fig’s blockchain strategist Alex Amsel expects it to produce success stories equivalent to Facebook, Twitter, and Minecraft. QUOTE | “This is unintended, embarrassing, and it was careless for us to let this ship. We are working now to fix this as soon as possible.” - An Epic Games spokesperson says the recent addition of breast physics to the game was accidental. QUOTE | “Following a comprehensive evaluation process, SIE has identified a path toward supporting cross-platform features for select third party content.” - Sony Interactive Entertainment president and global CEO John Kodera announces that after much fan outcry, the company will finally allow PS4 Fortnite players to compete against those on any other platform. QUOTE | “Go grab the nearest 10-year-old, and ask them what they do for fun. I promise you, it’s ‘Play video games’ and ‘Watch other people play video games.’ And I promise you if you ask that 10-year-old what they want to be when they grow up, they’re going to say, ‘I want to be a YouTuber,’ or ‘I want to be a streamer.’ They’re not going to turn 30 and magically become a baseball fan.” - Overwatch League commissioner Nate Nanzer says industry players who ignore esports do so at their own financial peril. QUOTE | “I don’t think the solution is to police or censor violent or sexual depictions of women in games. To me, it’s about creating a bigger variety of female representations instead of just repeatedly falling back on character tropes.” - Deserter: A Game of Sorority developer Daisy Fernandez has suggestions on making games a better place for women. QUOTE | “You have historical documents from the Greek historian Herodotus and he talks about how the Persian wars played out but he also talks about giant ants. So there’s a line there.” - Ubisoft Quebec narrative director Mel MacCoubrey says records of Ancient Greece supported the developer’s decision to include mythical elements to the Assassin’s Creed franchise.